While Michelle Wie and Lexi Thompson have been in the spotlight, Lydia Ko has won two events and posted eight top-10 finishes in seven months. When Time magazine held a red-carpet gala in New York City in April to celebrate its 100 Most Influential People list, Lydia Ko, the second-youngest honoree behind Malala Yousafzai, decided not to attend. In June, when the stars of the LPGA Tour gathered for a similarly glitzy pro-am party in Atlantic City, New Jersey, Ko was not among them. Taken at face value, the two examples appear to paint a picture of a 17-year-old golf prodigy and No. 2-ranked player in the world who is introverted, camera-shy and disinterested in the spoils of celebrity. But that depiction would be far too simplistic. While, indeed, Ko almost quietly goes about the business of turning in one of the best rookie campaigns ever in women's golf with two tournament titles and eight top-10 finishes through seven months, those who know her best say she is blossoming both as a professional and an adult as smoothly as her near-flawless swing. It's not fame that drives her or the red carpets that she's interested in. ... If she is not completely obligated, she'd rather go to a soup kitchen and help out the homeless. That's really how she is. "We talked to her, and it would've been cool to go if she was already in New York or if it was at a different time," IMG representative Mike Scanlan said of the Time party. "But it would have meant flying across the country after winning [her first LPGA tournament] in San Francisco and cutting into her rest and time with her family." And Atlantic City, a party in which the current rock stars of the women's tour -- U.S. Open champion Michelle Wie and Kraft Nabisco winner Lexi Thompson -- dazzled? Ko decided to fulfill her obligation to volunteer at a local food bank. "How do I explain Lydia Ko?" said Ko's closest friend on tour, Danielle Kang, who chose her words carefully. "It's not fame that drives her or the red carpets that she's interested in," Kang said. "If you gave her the choice of a gala or hypothetically, she had never seen the Golden Gate Bridge, she might pick the Golden Gate. "...She was not being disrespectful, and it's not even that she didn't want to go to the parties. But if she is not completely obligated, she'd rather go to a soup kitchen and help out the homeless. That's really how she is. "You can offer ice cream to her and she might pick that." Kang laughed because it clearly is not easy to pin down Ko's motivation with a simple explanation -- except for one thing, of which Kang is resolutely certain. "Lydia has that joy of the game that little kids have and that some professionals lose when they turn pro," she said. "Professional golf is hard. The travel is difficult, you don't get to see your family, there's a lot involved from X to Y to Z. But she still has that innocent joy that a child has every time she picks up a club, and I hope she keeps it as long as she can." Ko's future is a source of as much curiosity as her present. How will her career play out? And how will her personality mesh with the LPGA's desire to grow on the marketing front? 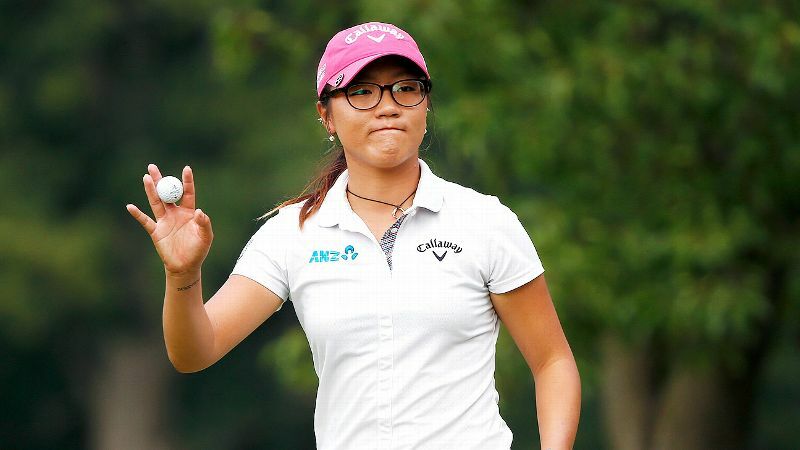 Professional golf can be taxing, but for Lydia Ko it's still thoroughly enjoyable. Scanlan, who, as the former media relations director for the LPGA Tour observed Ko's handling of the media from her first pro victory at 15, said that "by design, Lydia is flying a bit under the radar," with IMG limiting media obligations, such as the request for this story, and other distractions as much as possible. But asked how much they would "shape" Ko's media image, Scanlan responded, "With a player like Lydia, I wouldn't want to shape it. She's very genuine, particularly at age 17. What you see is what you get, and I don't think she or IMG or any of her sponsors want her to come across any differently than she already does." Stefanie Francis, founder of Navigate Research, which measures and evaluates sports marketing investments, said that while there may appear to be "a disconnect" between Ko's level of media awareness and her place on a list such as the 100 Most Influential People, that is not necessarily the case. "So much global good can come out of sports, and in essence, Lydia represents that," Francis said of the South Korean native who grew up in New Zealand and currently lives and trains in Florida. "She's hopeful and humble, players on tour really like her, and she has consistently been really excellent, which people were looking for and expecting from Michelle Wie early on. "Because Lydia just keeps her head down and stays humble and looks like she's having fun, that resonates." Ko actually counts Wie, who is also with IMG, among her unofficial advisers. But the comparisons must stop at the fact that both possessed uncanny golf skills from a young age and turned pro at 15. While Wie's parents were criticized for being overzealous in directing her golf career, Ko travels exclusively with her mother, Tina Hyon, who is generally praised for the raising of her daughter. And while Wie at 17 was going through a difficult phase in her career and rarely appeared to enjoy the media attention, Ko is flourishing on the golf course and is articulate and easygoing with the media. Francis also points out that it would be incorrect to depict Ko as sitting quietly in her room, offering her presence on social media as an example. When she announced she was going pro two years ago, Ko chose to partner with friend and New Zealand rugby star Israel Dagg on a humorous, four-minute YouTube video. In the video, Dagg and Ko compete in offbeat golf challenges with Dagg constantly begging her to tell him if she's going pro, which she finally "agrees to" at the end. "It doesn't feel orchestrated, it doesn't feel arrogant or contrived," Francis said. "People are craving reality that's not reality TV, and she's very real. She's posting a lot of selfies on Twitter, connecting to her fans." Whereas Wie, now 24, received enormous media exposure before accomplishing much on the pro tour, Ko, said Francis, "is getting exposure consistent with her performance. And at the end of the day, everybody loves a winner." David Leadbetter, who has coached Wie since she was 13 and began coaching Ko at the start of this year, said the difference between playing eight events per year as an amateur and 25 as a pro can quickly take a toll. With Ko still adhering to her practice of visiting golf courses as much as a week in advance of a tournament, Leadbetter is emphasizing the importance of taking breaks. He rejoiced this past week when Ko went about four days without picking up a club. Leadbetter credits the six weeks that Wie took off at the start of the year as instrumental in her rediscovering the passion she had for the game. This season in a Total Access series, espnW will focus on teens on tour. Throughout the course of the year, we'll follow three of the game's most promising stars: Lydia Ko, 17, and Lexi Thompson, 19, on the LPGA Tour and Ladies European Tour player Charley Hull, 18. Lydia, Lexi, Charley: Whose star will shine brightest? Leadbetter pointed out that of the close to 50 Koreans on tour, only a handful are still playing at 30 years or older. "A very small percentage sustain that length of play, and the ones who do, pace themselves," he said. "Asian players typically have a strong work ethic, but that's the sort of thing we're trying to point out to Lydia, because you really don't want to sacrifice long-term success for short-term gain." Off the course, Leadbetter said Wie blossomed into a star when her game came together, and most importantly, when the time was right for her. When she was invited to New York to appear on the "Today" show and make other appearances after winning the U.S. Open, her advisers, family and friends suddenly realized this was her time, and she was ready for it. While the image of Ko sashaying through New York City in high heels is an odd one now, Kang, 21, cautions against making any judgments too soon. "Some girls are more tomboyish, some are more girly-girl. I don't think girls follow each other as much as people think,'' Kang said. "I think Lydia is still finding herself as a girl; she hasn't found her style yet. I still like sweatpants and never used to wear high heels, but now I do. She's still very young. One day, you never know. Maybe she'll like dressing up. Maybe she'll go through a punk rock stage." Either way, Robert Tuchman, president of Goviva, a New York-based sports and entertainment marketing company, called it "a shame" that Ko doesn't attract more attention and attributed part of it to the "uphill battle" women's golf typically faces in the fight for attention. "Some people might say, 'We've seen this story before,' " Tuchman said, referring to the early buildup of Wie. "It would also be a lot different if [Ko] was American or even from North America. She's such a great story." Danielle Kang, Lydia Ko's best friend on tour, thinks Ko is too balanced to ever let fame affect her. Like the others, however, Tuchman agrees it might just be a matter of timing for Ko. "Sometimes, [marketing and branding] doesn't align with where a person is [in life]," he said. "Who knows? If she continues to be successful, she might be more confident and want to do more endorsement stuff that would raise her notoriety." "My gut instinct is that given her career will last for 20 years, it's not necessarily a horrible thing to skip a red carpet or two." "Lydia has a great team around her -- her mom, her agent, her manager, her fitness coach, her coach -- who keep her grounded and the very humble player she is," she said. "She has her press conferences every week and her obligations. I don't think people see that. She is getting the attention. She's just handling it and balancing her life really well for a rookie." Kang was 18 and Ko 14 when the two met on tour, and soon they were making "Kang and Ko" videos for their parents. "Just goofy things like singing in the car, hanging around and having fun, skateboarding -- I got yelled at for that, but it was just on carpet." The age difference, Kang said, never occurred to her. "For me, I look at friendship as people I can rely on and turn to. Lydia is mature, but that's not what drew my attention. I just liked her personality, and I love her mom -- she takes care of me like her second daughter." As for how her buddy will handle the increased demands and fame that continued success may bring, Kang said she is not concerned. "Some people are worried, and they say that a lot to me," she said. "But I know how she is behind closed doors and on the golf course. She just lives her life, but it doesn't get to her, and that's what I like most about her. "...She's just too balanced to let fame get to her. 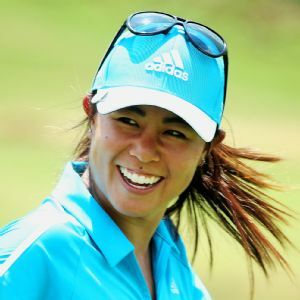 I just don't see her one morning going, 'Oh my God, I'm Lydia Ko, get out of my face.' "